Let’s start with a little math, rounded up to the nearest number: There are four, 15-minute segments in each hour and 24 hours in a day. That means four times 24 or a total of 96, 15-minute segments each day. So, in round numbers, 15 minutes is one percent of your day. That means two 15-minute segments is roughly two percent of your day. 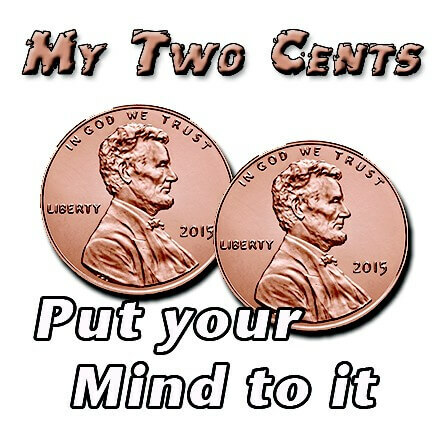 Two cents, as they say. Remember that. Your mind is indisputably the most powerful tool you have for making change in your life. Unless it starts in the mind, it’s not going to happen. Period. And doesn’t take a scientist to know we basically have two parts to our mind: an intellectual, analytical part called the conscious mind and a more powerful, intuitive, feeling part of the mind that does over 90 percent of the work of being alive, known as the subconscious. To avoid any dispute, realize that the intellect crunches data, evaluates and judges worldly input; it analyzes. It’s a part of the mind that we were not born with but had to develop ourselves. (No one popped out of the womb with the skill set to form words or evaluate data.) And bear in mind, all those abilities mentioned are done better and faster by my laptop. The subconscious on the other hand, is the part of the mind that has always existed. And it runs all the important stuff. It runs every bodily function. It stores every memory and observation, whether the conscious mind is aware of it or not. It maintains contact with a thought system that is based on feeling and beyond simple data. It does not judge. Servant or master? From birth, the intellectual/conscious mind was tasked with following through on what the subconscious/higher mind directed it to do. The conscious mind, in a sense, was used as a servant to interact with the outer world for the inner mind. Sometime along the line, the conscious mind grew very full of itself and prideful in the data it was absorbing. The world was telling it, “Do this,” “Do that.” “This data says to do this.” “That data says to do that.” Well, unless you’re a moron, you’ve noticed that the data keeps changing, doesn’t it? So how reliable has that system been for you, eh? If you still think that data is king, then jump to google news now. What happened is that at some point the feeble, materially mesmerized conscious mind, with its reliance on what the internet, CNN and government agencies tell it, has strong-armed the subconscious mind to do what it says, dismissing the other way around. Throw the dog a bone. So, how do we access that wonderfully powerful subconscious mind in order to allow it to work to our benefit? 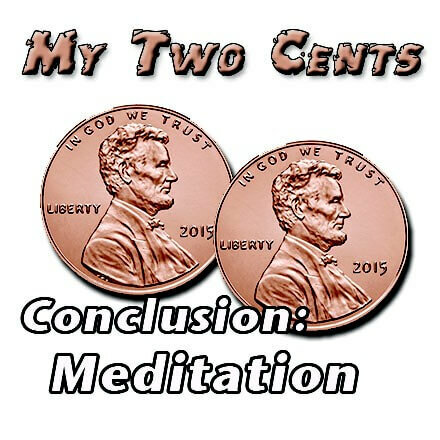 Well, with the conscious mind having grown to be like a barking dog chasing its tail, we won’t get anything done until we distract that dog, quiet it, settle it in a corner so it isn’t dominating the mind. You know exactly what I mean. With an estimated 50,000 thoughts a day spilling from that barking dog, it’s understandable that we live in a chaotic world of conflicted meaning, stressed to the breaking point. Thoughts have become like a herd of horses trampling through the mind, uncontrolled. Most of us believe it’s natural for our thoughts to run roughshod over our experience and our feelings, as if our thoughts are in control. Not so. We are in control of our thoughts. In fact, our thoughts are the only thing we are in control of. So the first order of business would be to quiet that barking dog. Create a tabula rasa. Meditation comes to mind. I saw that the Number One “how-to” search on google right now is “How to reduce stress.” Most of the top answers are absolutely horribly wrong. They begin with changing things in the outer world like changing diet by reducing caffeine intake, exercising, avoiding alcohol and getting enough sleep. All good things but treating an effect, not a cause. Hell, stress causes sleeplessness. Stress leads to eating poorly. How can you get to a cause of something by addressing its effect? Outside events are not the true cause of stress or of any of our feelings. In order for something to be true, it has to be true not just conditionally, but all the time. Car gets stolen: stressful — unless we’re happy to collect the insurance on that 2005 Pontiac. Girlfriend dumps you: stressful — unless you were waiting for the right moment to say, “We have to talk.” Stress depends on how we think about anything. All stress comes from thought. Any outside event may happen but it’s what and how we think of the event that results in stress. It’s a word that is getting a lot of press lately: meditation. It gets real sketchy from there because ask a dozen people what meditation is and you’ll get a dozen answers. Let’s start with what it isn’t. And that is exactly where we’ll start next Heartland Healing.